"I absolutely love the results of my teeth. Dr. Berky is the best Orthodontist in Greensboro. Not only that, his staff are very pleasant and caring group of ladies.I will recommend family, friends and neighbors to this practice. Love you Dr. Berky!" - Angela S.
“It would be impossible for me to convey how grateful I am to Dr. Berky and the entire staff. You are amazing! I came to this practice with many issues and a very upsetting misdiagnosis/treatment plan, but Dr. Berky was able to make everything okay, and in less time than anticipated. I couldn’t be happier with the treatment provided. I love Berky Orthodontics!” — Julie F.
“We started going to Dr. Berky in High Point ten years ago. When we moved to Summerfield, we were excited to learn he had an office in Greensboro. His office staff is wonderful and efficient. We never have to wait, and everyone has a smile and is very friendly. My son is now a senior in high school and has a handsome smile; my daughter is a freshman in high school with a beautiful, soon-to-be brace-less smile. I have a third grader that will need braces soon. 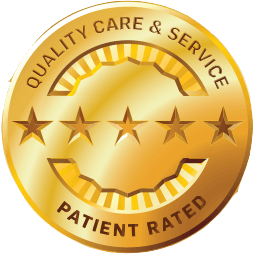 I wouldn’t think of going anywhere else.” — Kristin G.
“I have never encountered such great customer service as I have with Dr. Berky and his staff. When I called for a consultation, the experience was so amazing. I was greeted with wonderful and useful information. Dr. Berky himself called me the evening before my appointment to see if I had any questions before my first visit. I was amazed! Within five minutes of arriving to my appointment, Dr. Berky came out and introduced himself personally. Thank you, Dr. Berky and staff, for welcoming me as a new patient.” — LaToya H.
“We have thoroughly enjoyed our time with Dr. Berky. He has been a caring and attentive orthodontist. Since Jacob is our second patient with Dr. Berky, and our second of five children, we wouldn’t dream of going anywhere else for our orthodontic needs.” — Jamie S.
“I have had two children in orthodontics with Dr. Berky. He made it very easy for us when it came to having appointments together. The staff is very pleasant and friendly. When problems arose, they were always understanding.” — Shannon T.
“I am a new resident to North Carolina and when I moved here from Savannah, Georgia, I needed braces. I did not know where to go, so I got on the Internet and found Dr. Berky. I came in for my initial visit and I fell in love with him and his staff. This experience has been a great one, and I highly recommend Dr. Berky to anyone who is looking for orthodontic care. He is wonderful, loving, and easy to talk to, and he makes you feel like family.” — Alam S.
“My son Wade has been a patient of Dr. Berky’s for approximately two years. The staff, especially Trish, is enthusiastic, fun, and experienced in the job. They get acquainted with their patients and call them by their first name when you walk in the door. I highly recommend Dr. Berky and his staff for anyone with orthodontic needs.” — PJ M.
“What can I say about Dr. Berky’s office? They are beyond awesome. The staff is friendly, caring, and dedicated. 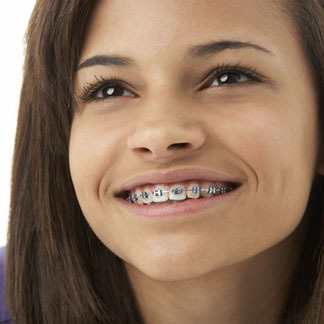 They are diligent and specific when it comes to describing the process as well as teaching proper care for your braces. Dr. Berky personally calls his patients after their initial consultation appointment. I thought that was the sweetest thing ever. He comes highly recommended and the service is absolutely awesome. If I remain in the Greensboro area, my children and grandchildren will be patients of Dr. Berky’s!” — Sabreen M.
“I am very grateful for how Dr. Berky’s office set up my automatic draft. Giving me an option to pay at a later date was also convenient for my family. I also love the fact that the office opens extra early for appointments. That helps working parents who can’t miss work and it keeps the children from missing a lot of school.” — Erica J. “As an older adult, I was more than apprehensive with the idea of having braces put on. Dr. Berky and his entire staff quickly put my mind at ease. I am so happy with the results and can now honestly say ‘you’re never too old to feel good about your smile!’ ” — Dottie P.